In 2006, a man named Vincent Ferrari called AOL and tried to cancel his internet service. It took him 21 minutes as an increasingly desperate customer service rep named John tried to talk him out of it. "You used this quite a lot," John says, in a recording Ferrari made of part of the call. "Last month was 545 hours of usage." "I don’t know how to make this any clearer, so I’m just going to say it one last time," Ferrari says. "Cancel. The. Account." Last week, AOL vice president of product Ryan Block had a similar experience with a Comcast rep. Block and his wife spent around 18 minutes on the phone as an aggressive call-center employee asks questions like, "Why is it that you’re not wanting to have the No. 1 rated internet, No. 1 rated TV service in the country?" The rep, whose name is withheld, is certainly obnoxious. He’s also desperate. As The Awl’s John Herrman points out, "The customer service rep is trapped in an impossible position, in which any cancellation, even one he can't control, will reflect poorly on his performance." Bullying customers who try to cancel their service is a very old trick used by subscription services, from cable to satellite radio to gym memberships. New York Times customer advocate David Segal has written about this phenomenon repeatedly in his column The Haggler, which includes a plea for help from Alan Alda, who couldn’t figure out how to cancel his McAfee antivirus software. There are abundant horror stories about attempts to cancel SiriusXM, which uses a popular euphemism for the art of frustrating customer attempts to leave: "churn management." The man who spoke to Block is a "retention specialist," a position Comcast describes as "equal parts detective, ally, troubleshooter, and negotiator" in job listings. Comcast’s retention reps are paid a low hourly wage supplemented by a monthly commission that depends on how many customers they are able to drag back into the fold. "For any number of reasons, customers may feel the need to make a change either to a lower level of Xfinity service or even a different carrier. Your job is to convince them that Xfinity can meet their changing needs better — and keep them in the family." The practice is common at internet and phone service providers and at call centers across industries, but it must be uniquely challenging at Comcast. The company has no competition in many of its markets, which makes customer satisfaction a low priority. As a result, Comcast was recently named "Worst Company in America" in a Consumerist poll, a title it snagged for the first time in 2010. "Anytime a customer calls back within 30 days, all the people in every department who've talked to that customer within the 30 days (except the brand new person taking this call) get hit for first call resolution, this is a metric everyone is judged on (everyone on the phone) regardless of what department they're in." "You're supposed to be off the phone within 660 seconds, anything longer and your metric for Average Handled Time is impacted (which is bad). In the billing department their AHT goal is even lower, at about 350~ seconds." "Let's say that if you retain 85 percent of your customers or more (this means 85 percent of the lines of businesses that customers have when they talk to you, they still have after they talk to you), you get 100 percent of your payout — which might be $5-10 per line of business. At 80 percent you might only get 75 percent of your payout, and at 75 percent you get nothing. The CAEs (customer service reps) watch these numbers daily, and will fight tooth and nail to stay above the ‘I get nothing’ number." Metrics-obsessed reps are therefore highly motivated to get every customer to not only continue service, but keep the same number of subscriptions — phone, internet, Xfinity — or add more. Essentially, these reps are trying to reach a predetermined outcome in the call, and they’re trying to do it in under 11 minutes. Comcast has turned its customer service reps into sales reps.
"Comcast likes to pretend to be "customer first," txmadison writes. "But then they turn around and provide an entire incentive structure that is decidedly NOT customer first." Block’s call was pretty typical, according to a former Comcast employee who spoke to Business Insider. Reviews of Comcast’s retention department on the anonymous job reviews site Glassdoor said similar things. "Encouragement was through dollar amounts rather than actually helping customers fix their obvious account issues," one former employee writes. "Metrics were increasingly absurd in how it measured sales as the number one factor when the job was about retaining customers who were intent on canceling their subscription." 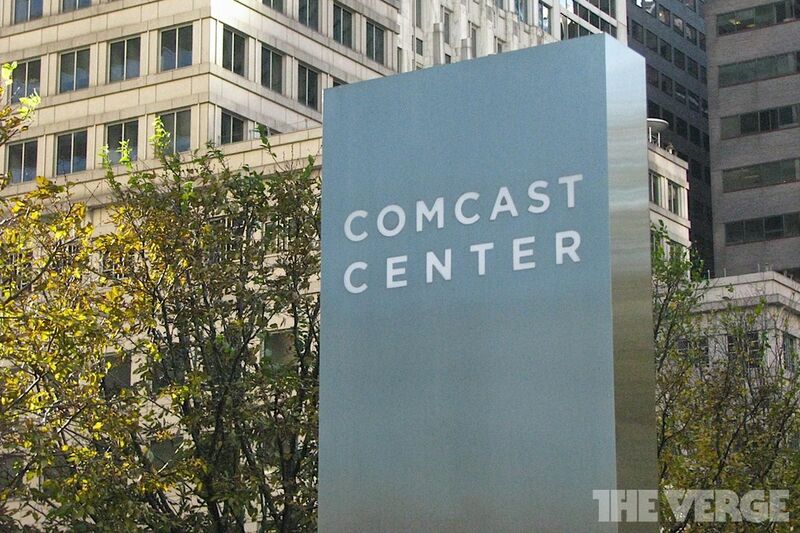 Comcast denies that it has a systemic problem with its approach to customer retention. "The way in which our representative communicated with them is unacceptable and not consistent with how we train our customer service representatives," the company said in a statement. "I hope the quick action you take is a thorough evaluation of your culture and policies, and not the termination of the rep," Block tweeted. It’d be nice to think that Comcast will change its policies so that reps are actually encouraged to do what’s best for the customer. Unfortunately, massive companies that don’t face much competition tend to treat their customers poorly and their employees worse — which is why Block’s call is the perfect argument against Comcast’s looming merger with Time Warner Cable. Disclosure: Comcast Ventures is an investor in Vox Media, The Verge's parent company.